We built the ZENSIE dashboard with growers, to deliver accurate, real-time data how they need it. Deploy and manage sensors in minutes without tech support, and keep track of all your metrics in one central, easy to use platform that’s accessible on any device. Make the best decisions for your crops with interactive heatmaps, charts, custom calculations, alerts and shareable widgets. Capture the metrics you need to make a difference in your agribusiness. Our customers use crop-level data to drive yields, reduce losses, optimise irrigation, improve storage, prevent disease risk, and reduce energy. 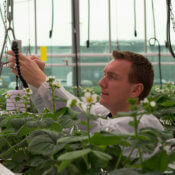 Know what your crops need by monitoring metrics including: VPD, dewpoint, moisture deficit, EC, VWC, temperature, light intensity, relative humidity and CO2. 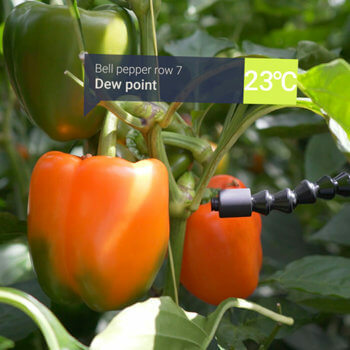 Smart sensing data helps growers get a more accurate understanding of their plants and growing environment, providing crop-level, granular monitoring alongside the macro-level overview provided by climate control systems through the ZENSIE API. We’ve partnered with agricultural experts including Saint-Gobain Cultilene, LetsGrow and Sercom, and our integration with Klimlink makes it possible to view climate control data alongside sensor insights in the ZENSIE platform. 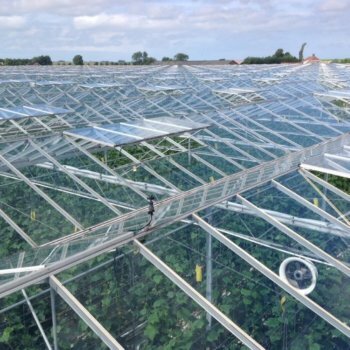 Sourced and developed with agronomists, and tested by leading research institutions Wageningen University and Proeftuin Zwaagdijk, these rugged sensors are made for agricultural conditions. 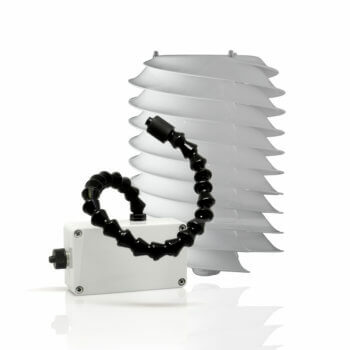 Accurate, watertight, airtight and built for flawless connectivity while withstanding the elements, sensors arrive pre-configured and ready to measure crops in any growing or storage environment. How can smart sensing transform your agri business? Crop-level data can help you drive productivity, increase sustainability and cut costs. Let's chat about which sensors are right for your context.